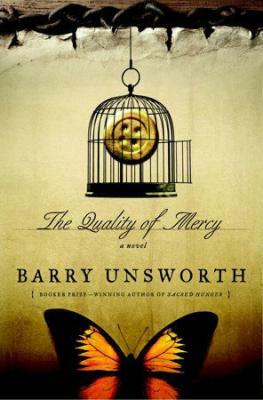 BARRY UNSWORTH, who won the Booker Prize for Sacred Hunger, was a Booker finalist for Pascali's Island and Morality Play and was long-listed for the Booker Prize for The Ruby in Her Navel. His other works include The Songs of the Kings, After Hannibal, Losing Nelson, and Land of Marvels. "Told with bite and freshness. Unsworth, one of the most ingenious and varied of today’s British writers, makes his scenes not just vivid but microscopically vivid - we see not only their visible life but the invisible life that pulsates beneath. But what may be more remarkable is the creative subversion he works in his characters. . . . Unsworth gives his figures glittering definition, and then leaves them open and undefined." "Deeply moving. . . . Unsworth brings his characters together with authority and grace. As with all of his historical novels, he conveys the sights, sounds and smells of life in another century without the slightest hint of pedantry." "Instantly compelling and impeccably written. . . . Line by line, Unsworth is a vigorous and precise writer." "Reading Barry Unsworth, one immediately feel secure in the hands of an experienced pro, a master scribe who knows his way through a story like a seasoned navigator sailing treacherous but familiar seas. . . . [His] latest labor of love is full of gorgeous prose, wonderful dialogue in regional dialect, deeply etched characters, and historical settings both rural and urban one can smell and taste. . . . Endlessly enthralling." "Wryly, and with Austenesque delicacy, Unsworth presents the intricacies of love, competition, and other timeless human emotions, as well as 18th-century law. Having invented his own brand of historical fiction, characterized by research, imagination, and a literate narrator equally adept at penetrating a society’s values or an individual’s heart, Unsworth creates a novel that works both as period piece and indictment of industrial capitalism. . . . It succeeds in presenting a compelling picture of a transitional moment in English history, not to mention in the development of the English character." "The Quality of Mercy is the work of one who is both artist and craftsman. There is not a page without interest, not a sentence that rings false. It is gripping and moving, a novel about justice which is worthy of that theme. In short, it is a tremendous achievement, as good as anything this great novelist has written." "Unsworth’s is a vigorous, clear-eyed approach to history, electrified by his complete feel for the period, his neat bathetic wit and his natural gift for storytelling." "Immediately involving and immensely readable."